Boasting an optimum location just 200 metres (218 yards) from palm tree-lined beaches, the Artemis Hotel in Beaulieu sur Mer is gem of a find. 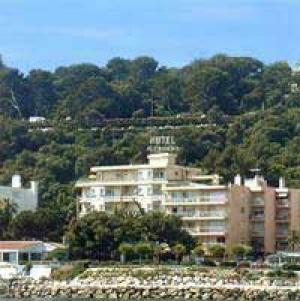 Offering affordable accommodation on the Cote d'Azur, the property is extremely popular with travellers of all types. Its position in the heart of Beaulieu-sur-Mer, a charming French Riviera seaside resort with a Provencal market, marina, casino and convention center, means that it is perfect for visitors wanting to immerse themselves in the authentic local culture of this attractive destination between Nice and Monaco. Experienced and friendly staff are delighted to be of assistance, so that your romantic break, family holiday or business trip is a complete success. Just a short stroll from both the beach and the tennis club, the property is ideal for sport and relaxation, and if you prefer to unwind on the premises, then you are invited to use the swimming pool to cool down in. The hotel is also proud to offer smart meeting rooms for those all-important business occasions, and the bar makes a great post-seminar spot to socialise with colleagues. En cas de no-show, paiement de l'intégralité du séjour. Annulation entre J-8 et le jour d'arrivée, retenue d'une nuit.